The aim of this research is to evaluate the tribological characteristics of the electroless Ni–B film under extreme pressure conditions, with coating thickness of 3 μm, 6 μm, and 12 μm in the as-plated condition and with incorporation of heat treatment (HT) (200 °C by 90 min). An electroless method is employed for Ni–B coating deposition on D2 tool steel specimens. A synthetic fluid was used as a lubricant, with a water–oil ratio of 10:1. Tribological evaluations were performed on a block-on-ring configuration according to ITEePib Polish method for testing lubricants under conditions of scuffing. Results indicate that electroless technology improved the coefficient of friction (COF) of the tool steel, ranging from 15 to 30%, with 3 μm to 12 μm of coating, respectively. This enhancement was increased by applying a heat treatment to the coated components, showing improvements of 24–38% with 3 mm to 12 mm, respectively. It is also observed that wear of the evaluated coupons also showed improvements ranging from 35 to 60%. 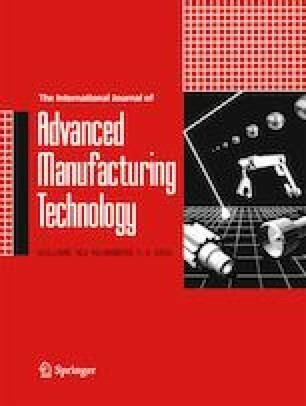 These results demonstrate the potential of an electroless technique on materials suitable for metal-forming tooling and components, while decreasing friction and wear of mechanical components. The authors acknowledge Marlene Vizcarra for the support to the project.